Envirofan sub floor ventilation systems are a tried and tested product from its predecessor Solarfan who was the first fan-forced company to develop brick size and terra-cotta vent size sub floor ventilating systems. Solarfan being the market leader of its time had rigorous testing carried out by Unisearch in the 1970's. Unisearch was an intensive testing and research facility, contracted to research and examine commercial products. Consulting and expert opinion from UNSW is now known as UNSW Consulting and Unisearch, a division of New South Global. This accreditation was a fundamental testing process, which many sub floor ventilation systems do not comply to. From Solarfans experience Envirofan sub floor ventilation systems have even gone even further in product quality. In 2001 they upgraded the fan mechanism as new technology was made available. The upgrade was due to the fan impeller design which delivered an extra 10% more airflow from the Solarfan sub floor ventilation system design. The other factor was that since sub floor areas are quite corrosive, Envirofan took measures to increase the longevity of its sub floor ventilation system. Since Envirofan’s inception they developed a complimentary product to the existing Solarfan range by creating the Envirofan quad fan sub floor ventilation system. The quad fan sub floor system was real lateral thinking, As example of this is in its design. 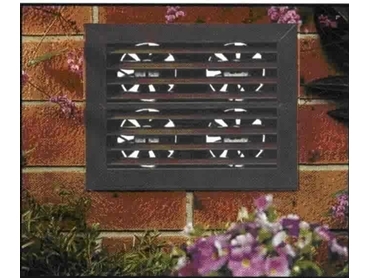 The Envirofan quad fan sub floor ventilation system has four impellers. If in the event that one impeller should stop working 75% of its sub floor properties are still operational. However in the case of single fan sub floor ventilation systems if this should happen 100% of the ventilation properties is totally lost as such time as the single fan is repaired or replaced. Other advantages of the Envirofan sub floor ventilation system is it generally requires no ducting, which means that sub floor ventilation can travel uninhibited unlike sub floor systems that have ductwork. Another consideration is that many people are concerned about mankind’s impact on the world’s resources. Envirofan has taken this into account by building sub floor ventilation systems that operate on low voltage (12v). Which means the drain on resources is far less than a product at 240volts. Envirofan sub floor ventilation systems can also operate on solar-power. Years of experience has brought about Envirofan’s sub floor ventilation systems, from its testing process right through to the present day. Why play Russian roulette with other sub floor ventilation systems.